Arch Address Sign - - personalized address plaque made from real crushed stone and resin. 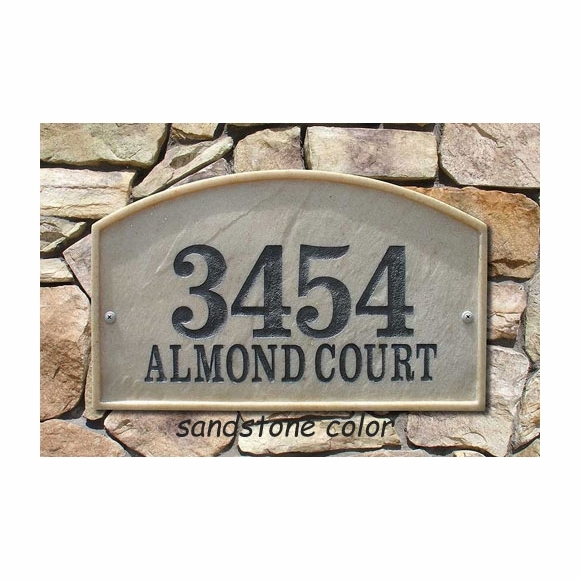 This UV and weather-resistant address sign features a rich stone textured background with polished border. Available in either sandstone (as shown in main image above) or slate finish. Choose engraved characters in black, white, or mocha finish. Dimensions (approximate): 9"W x 15"L.